So molten! But the geometric boundaries speak not of nature but of a smithy’s forge – shaping fire in steel with purpose. I like this one very much. This is one of my all time favourites. Bronze sculptures evolve through several processes involving molten metal but these light sculptures seem to carry the imprint of the idea without actually experiencing it. It almost feels like a talisman to me. Would like to have it as a pendent at the end of a chain around my neck… perhaps an amulet. A great idea and an even greater challenge! I’ll see what I can do. Any suggestions about how to make it appreciated. 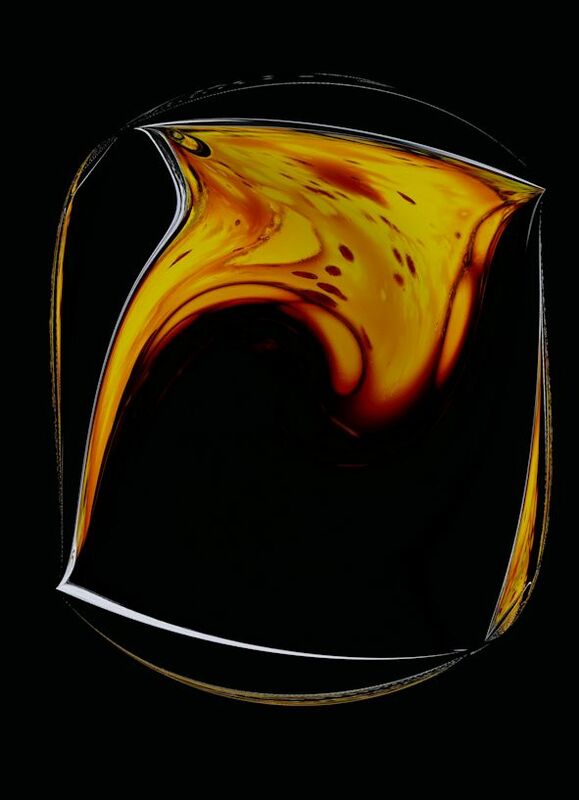 I have been making some beautiful Liquid resin pictures and this image would look good in tile form.